The "Terminator" franchise has been one heck of a roller coaster ride. This is a franchise that has genre-defining films and also the biggest disappointments. And yet, there's no denying that the franchise is one that has been part of our pop culture for decades. 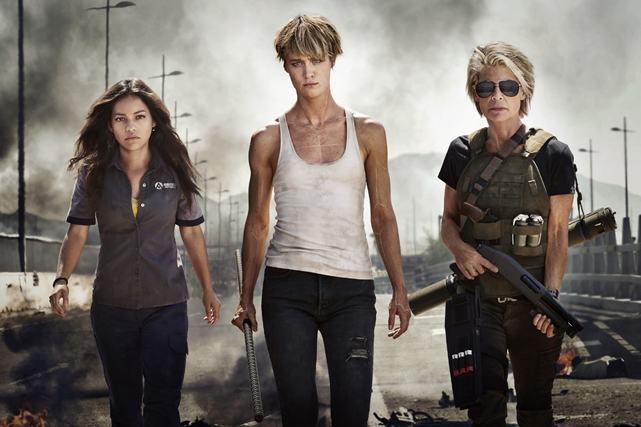 Now, it is back again with the untitled, in-production sequel to James Cameron’s original "Terminator" films revealing its first look photo with three women looking badass and ready for battle – in the photo (from left to right) are Natalia Reyes as Dani Ramos, Mackenzie Davis as Grace and Linda Hamilton returns as Sarah Connor. The most anticipated return of the Terminator hits Philippine cinemas next year on November 20, 2019.